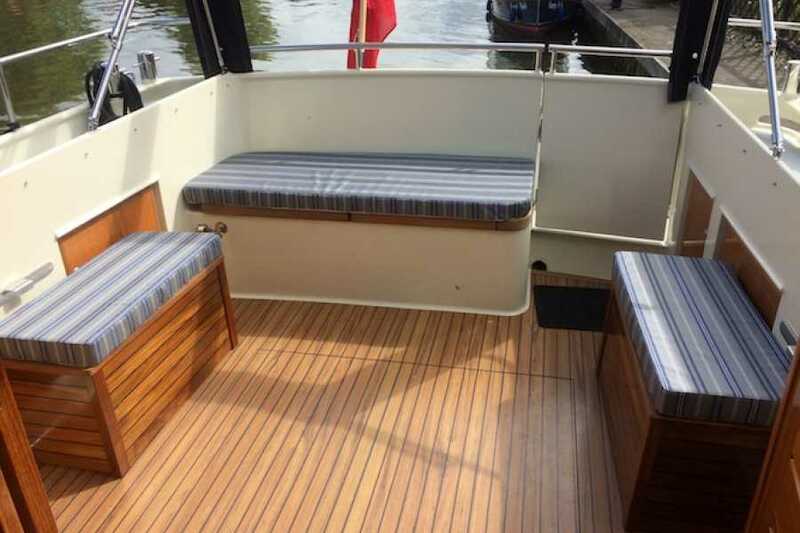 Kingfisher is a very attractive Dutch river cruiser. 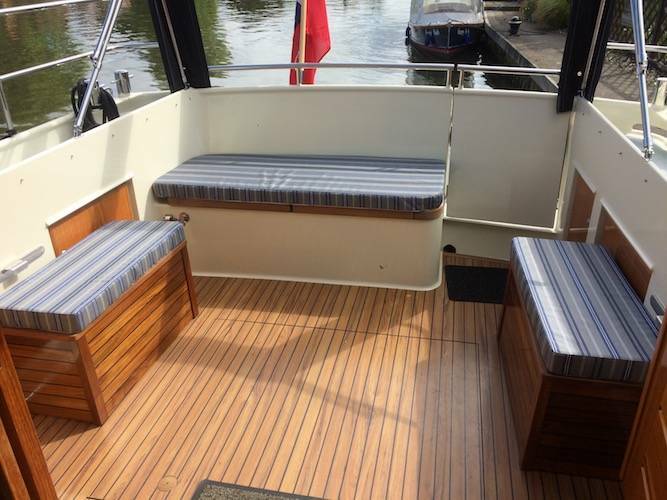 She was built in 2010 by Aquanaut Yachts in Sneek, Holland. 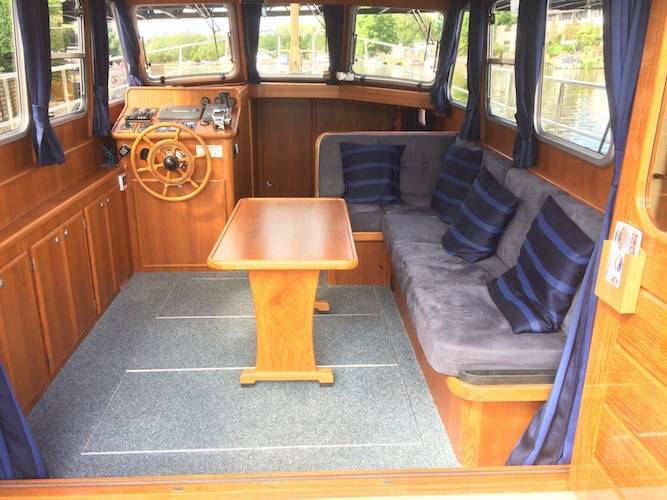 Kingfisher combines the benefits of a modern, well equipped, heated cruiser with the elegance of a teak panelled saloon and a rear cockpit which can be covered or open depending on the weather. We can ensure that all of your guests can be in the sun if the weather is good, or inside and warm if not. 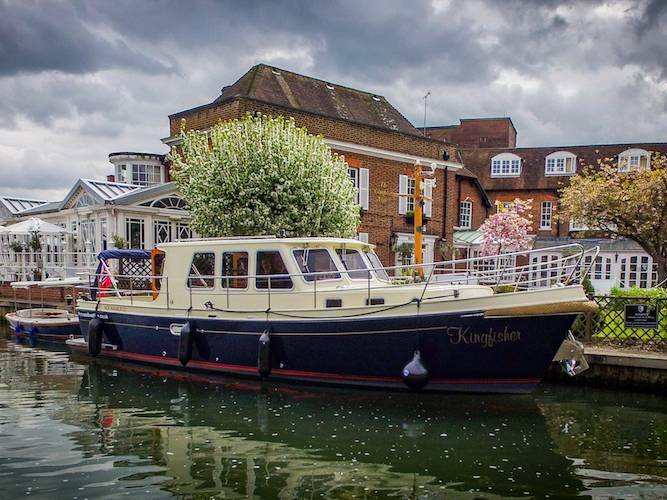 Kingfisher can carry 12 people with ease, she is equipped with a small galley, fridge, bathroom, hot and cold water, etc. 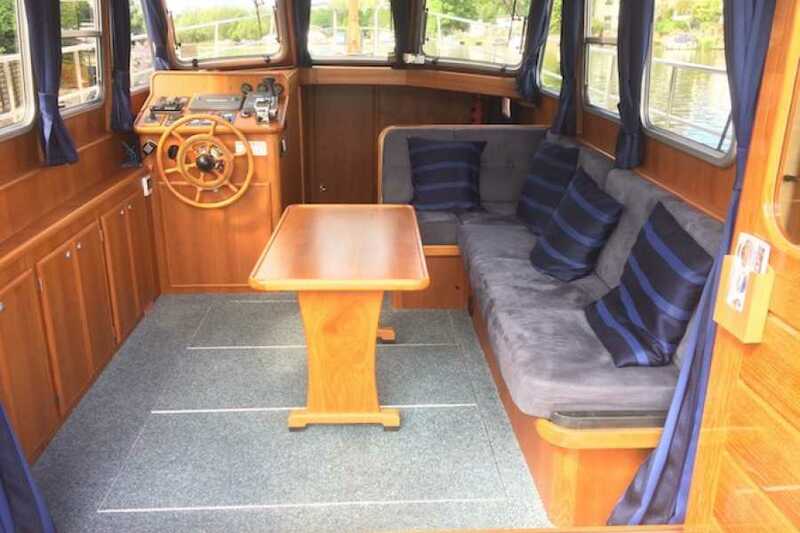 Everything you need to make your day aboard as relaxing as possible. 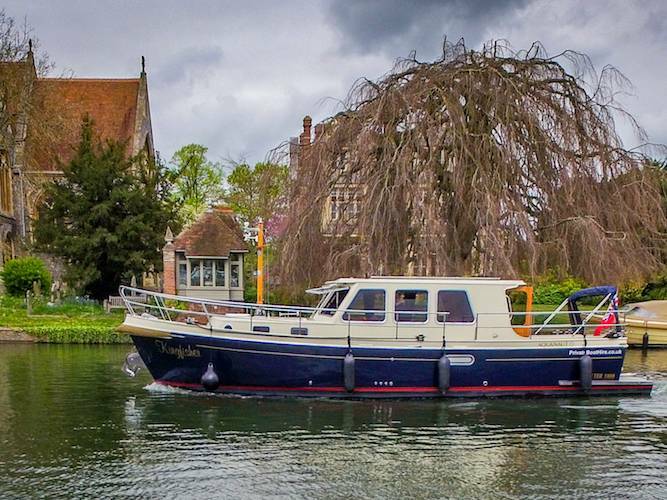 Based at The Compleat Angler in Marlow we are able to take you upstream through Temple and Hurley Lock towards Henley or downstream through Marlow lock to Bourne End, Cookham, Cliveden and eventually Maidenhead and Bray. 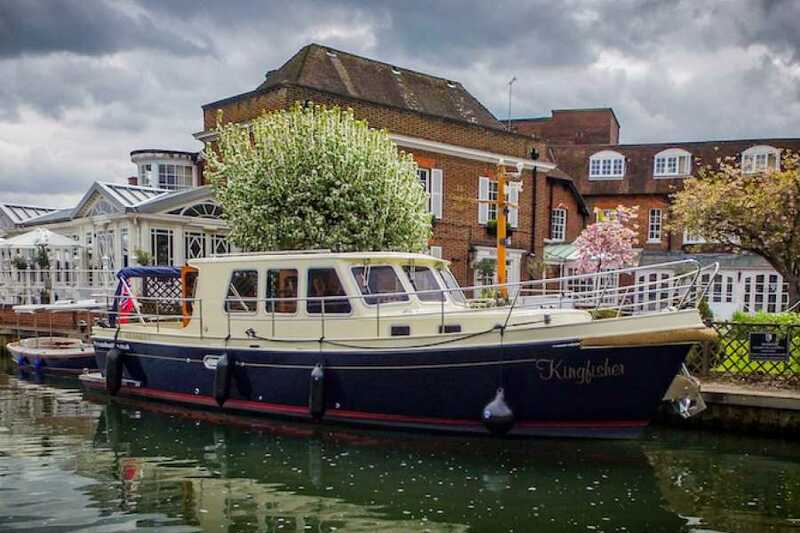 A one way trip from Maidenhead to Marlow to visit one of the excellent restaurants in the town would take 2 - 2 1/2 hours and be a relaxing start to a special meal. 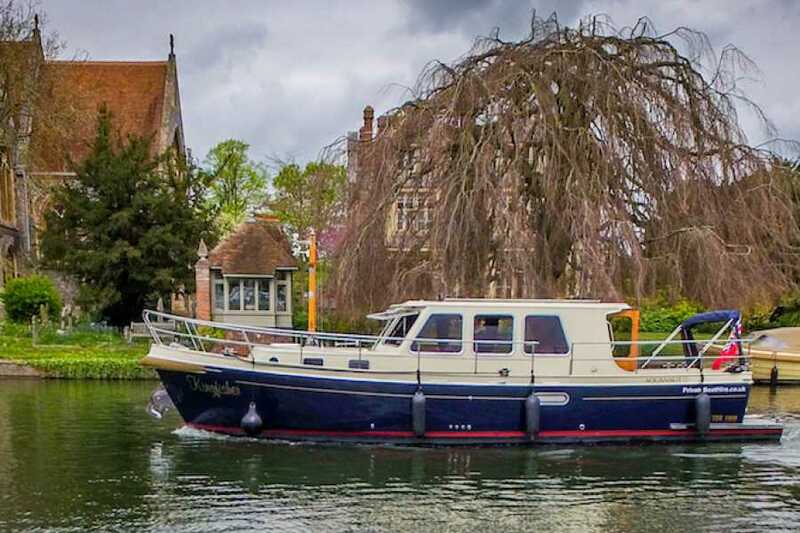 All of the vessels hired with a fully qualified experienced skipper, Certified under the Boat Safety Scheme, carry £5 million passenger liability insurance, lifejackets, first aid kits and firefighting equipment. Additional hours at any time £110 per hour.